THRIVE Beef TVP is an enjoyable soy-based alternative to beef. Use it in vegetable stir fries, sandwiches, and pasta sauces for a vegetarian spin that's high in fiber and lower in fat than authentic meat. TVP is ideal for long-term storage and for everyday use. These small, crumbly bits are a great way to add protein and texture to your meals without the mess or inconvenience of actual meat. Try it with your next dinner! 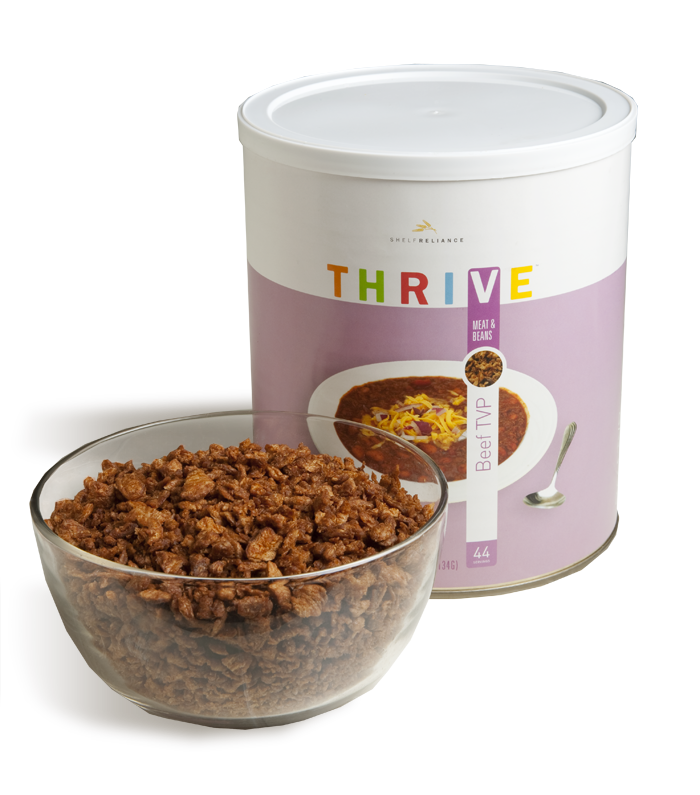 We're sure that THRIVE Beef TVP will become a treasured part of your food storage.